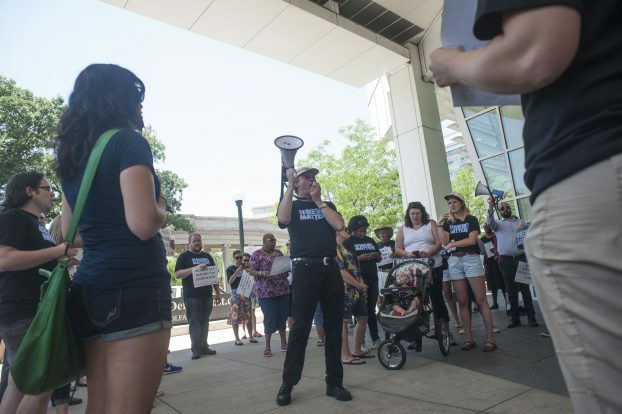 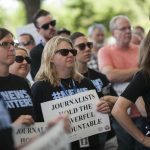 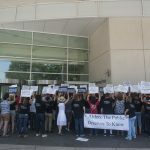 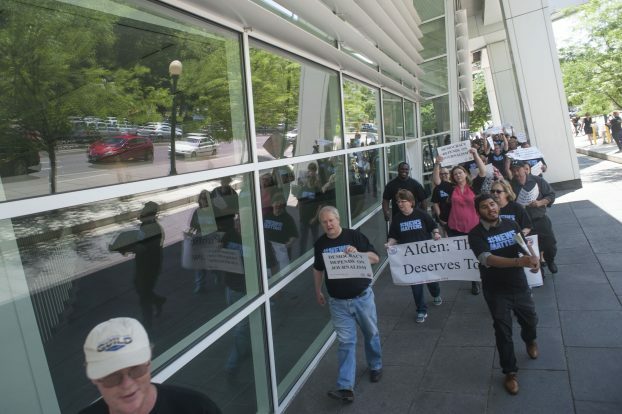 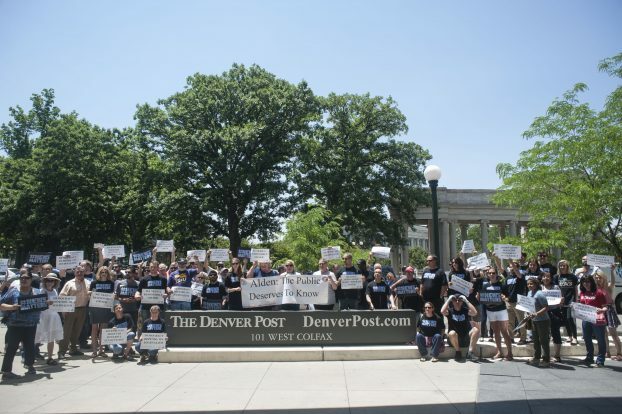 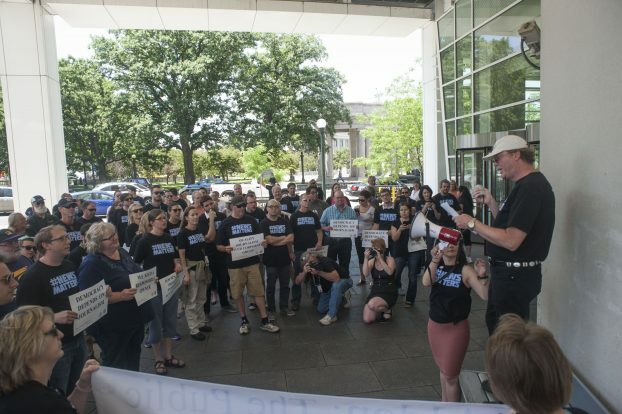 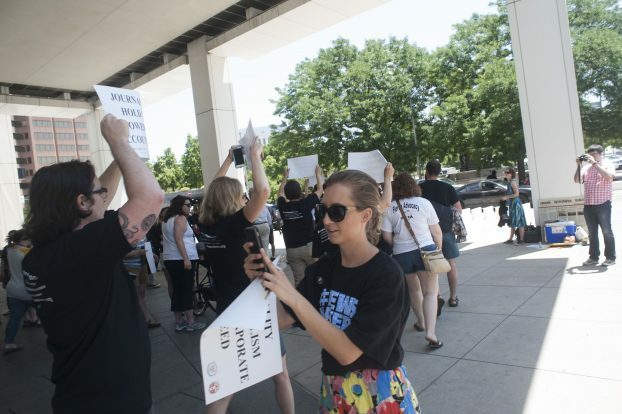 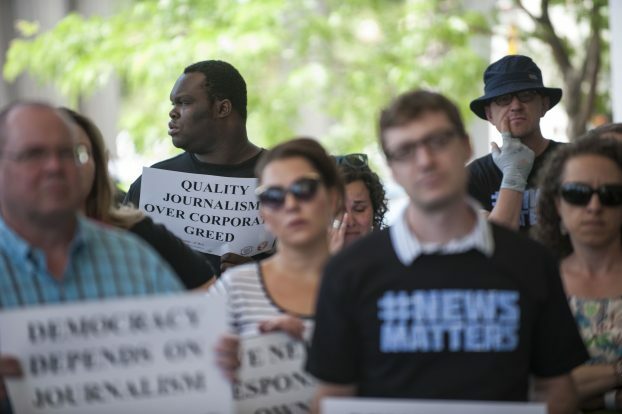 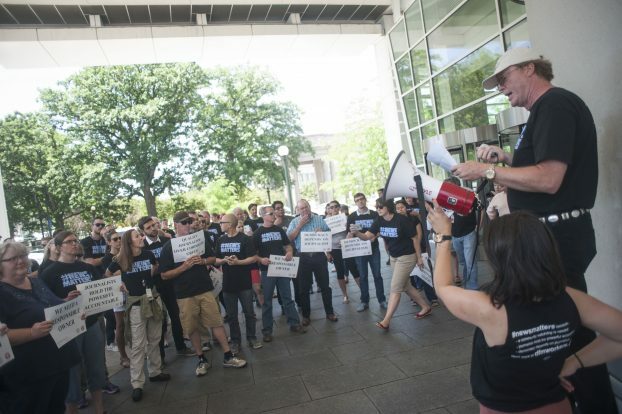 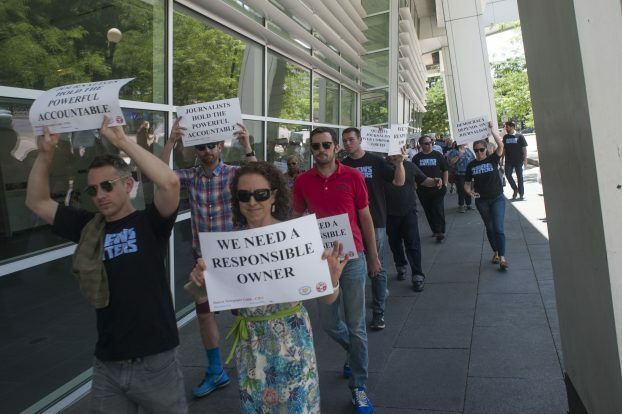 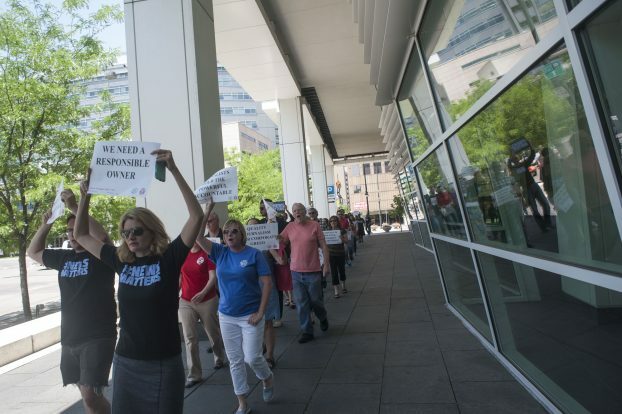 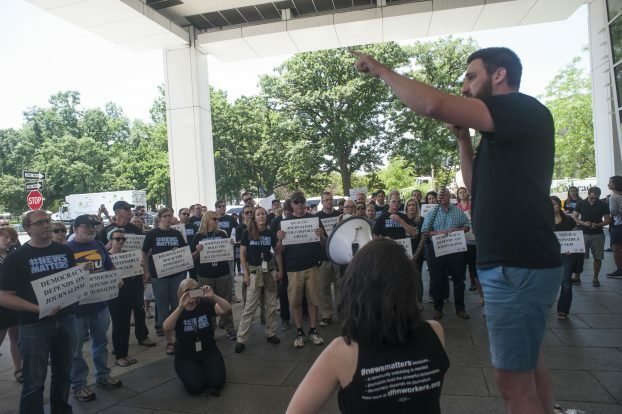 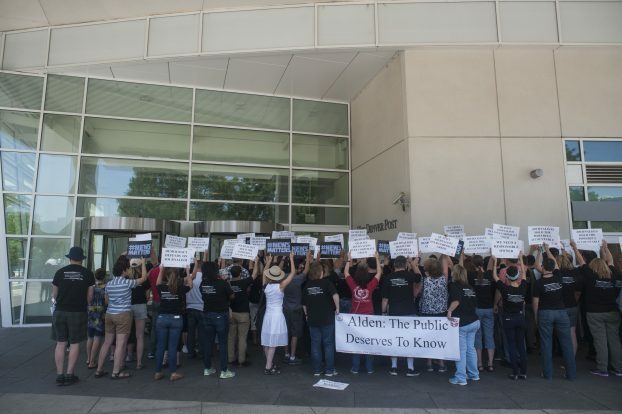 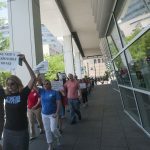 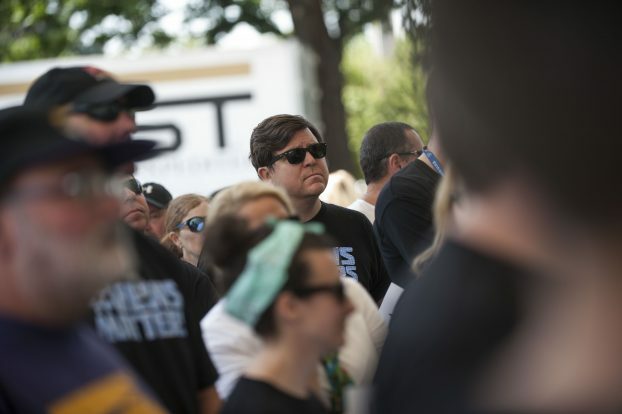 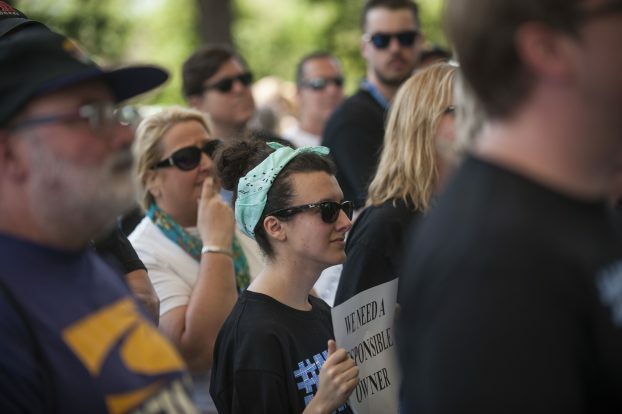 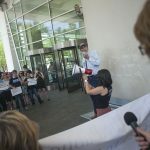 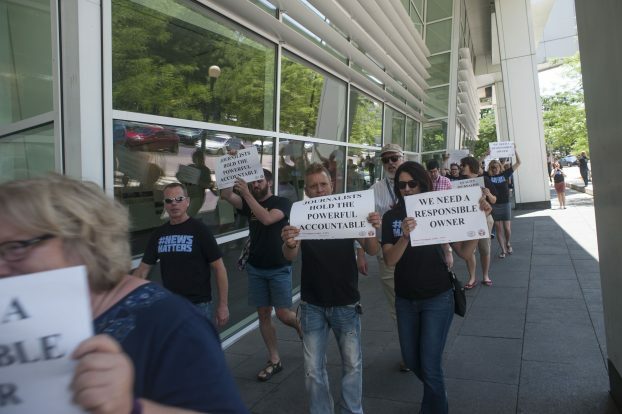 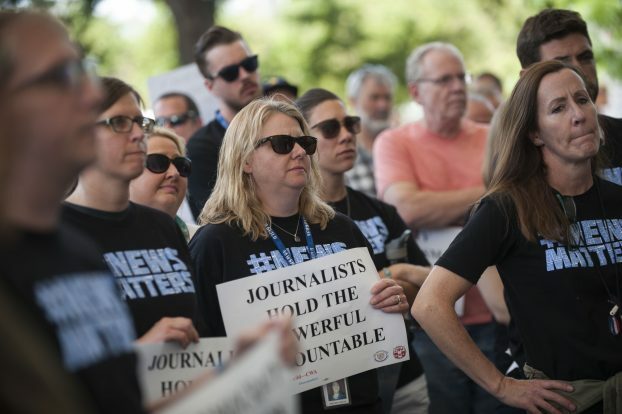 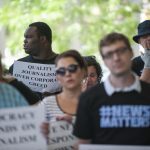 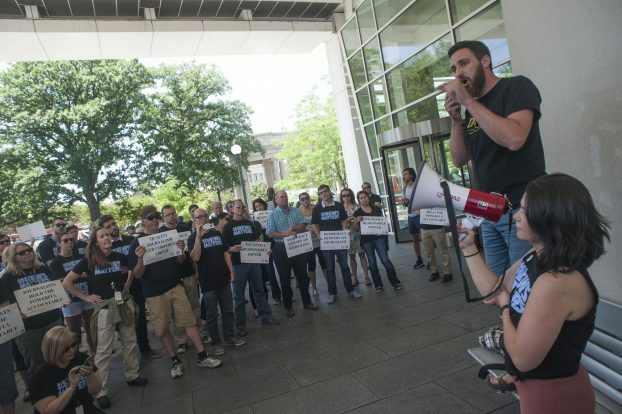 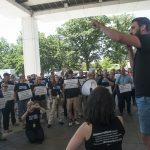 DENVER, CO. - JUNE 17: The Denver Newspaper Guild held a rally outside The Denver Post condemning downsizing actions by owner Alden Global Capital. 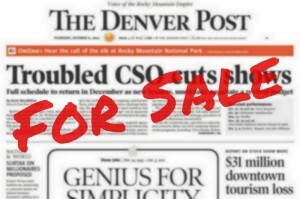 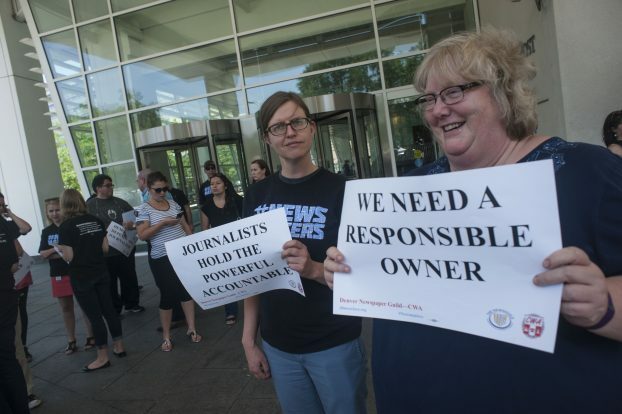 New York-based Alden Global Capital continues to slash jobs at The Denver Post and other papers it owns without regard to how the cuts will diminish the news organizations’ ability to adequately cover their communities. 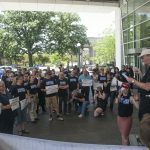 Speakers — including Guild and community members, Denver City Council member Kevin Flynn and Lakewood City Council member Charley Able — fired up the crowd that gathered in front of The Denver Post building. 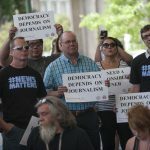 Both Flynn and Able are former journalists. 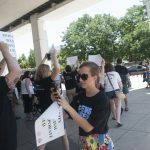 The group then marched with signs and chanted as cars driving along 15th Street honked in support. 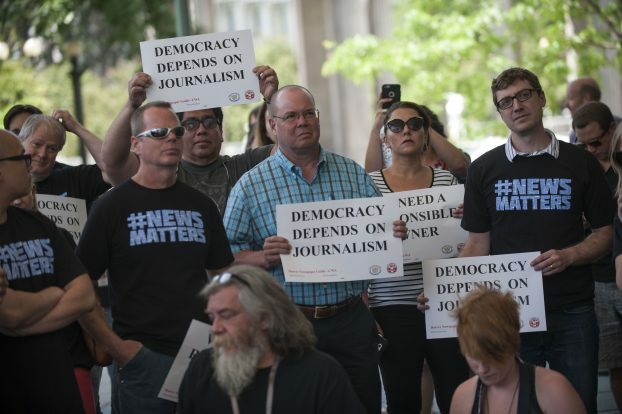 The rally was part of the #NewsMatters campaign. 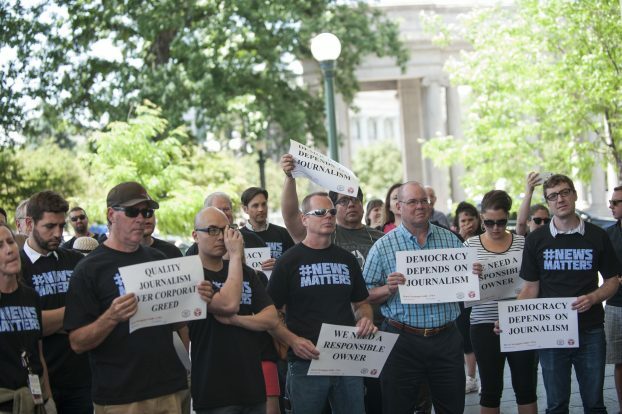 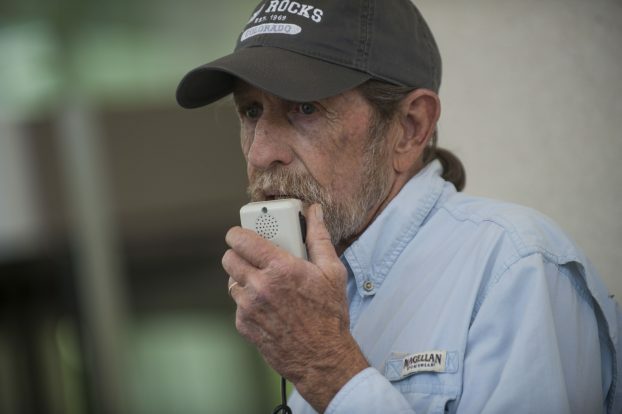 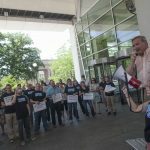 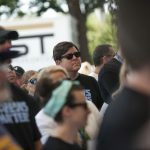 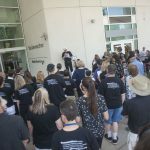 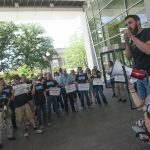 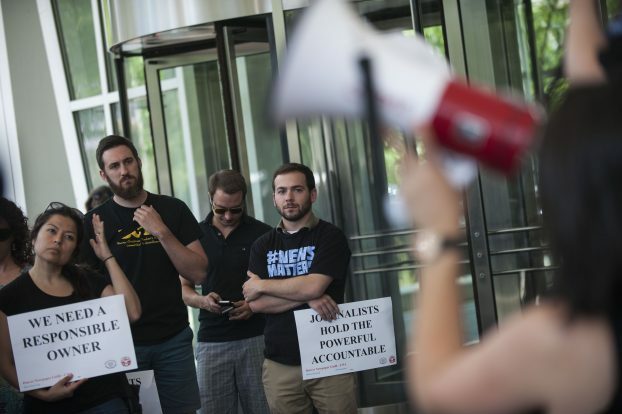 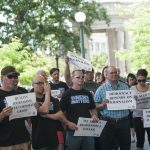 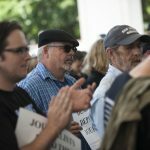 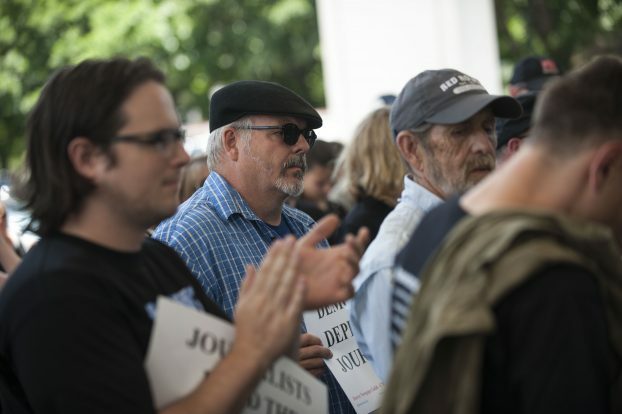 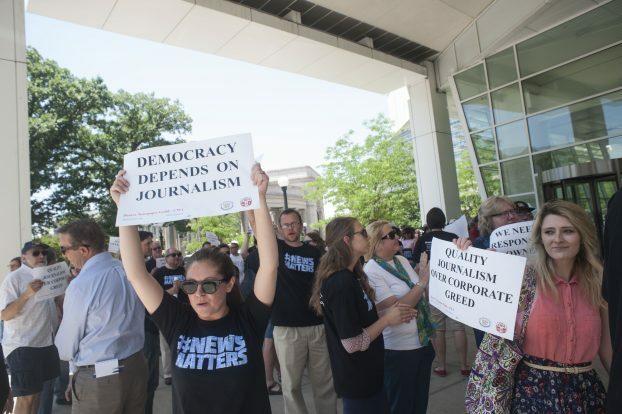 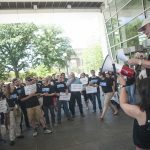 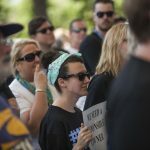 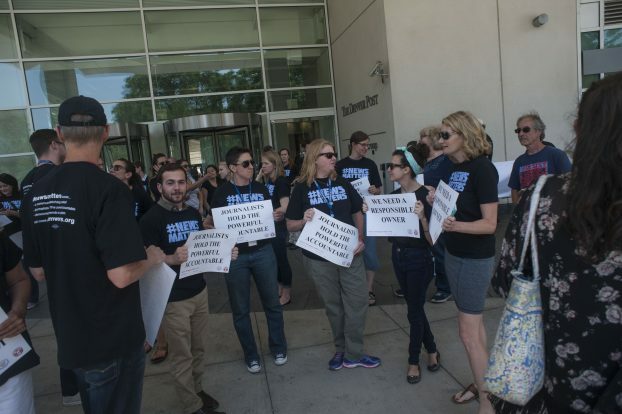 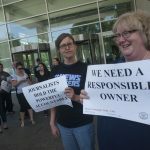 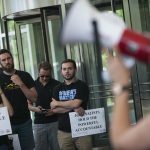 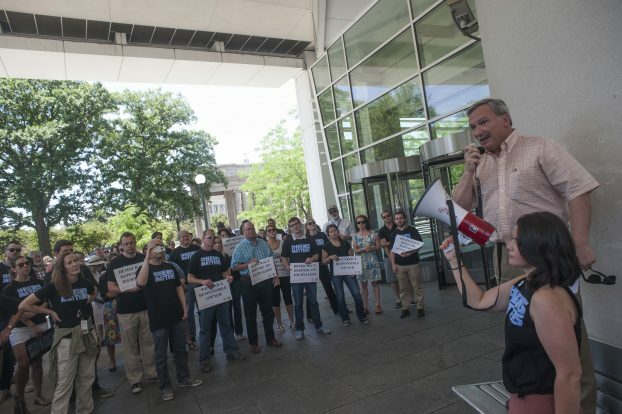 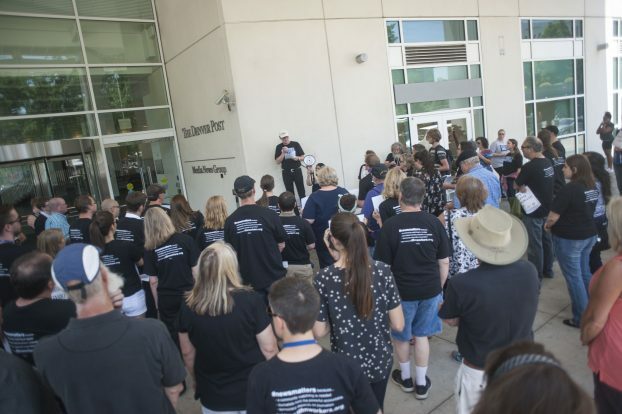 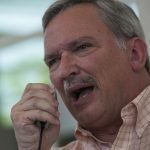 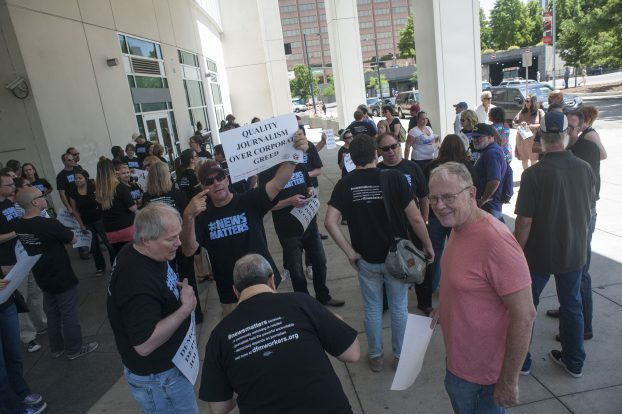 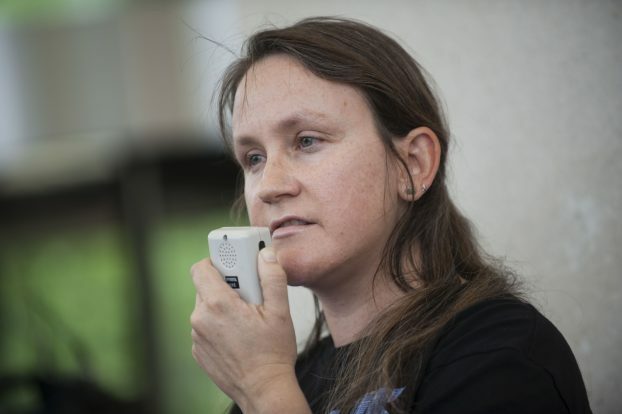 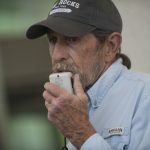 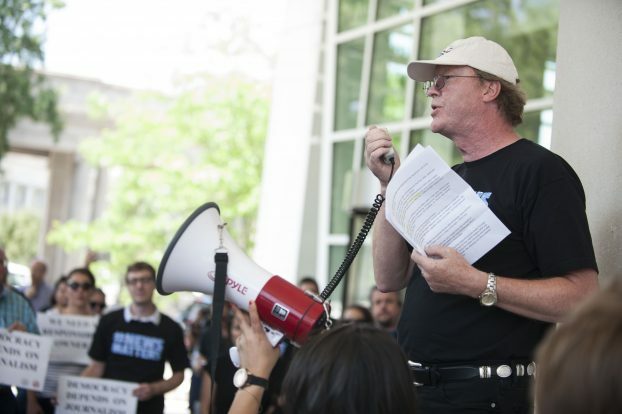 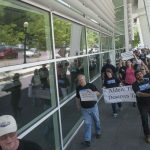 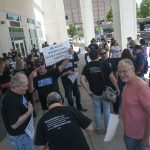 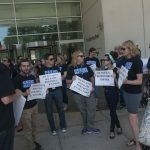 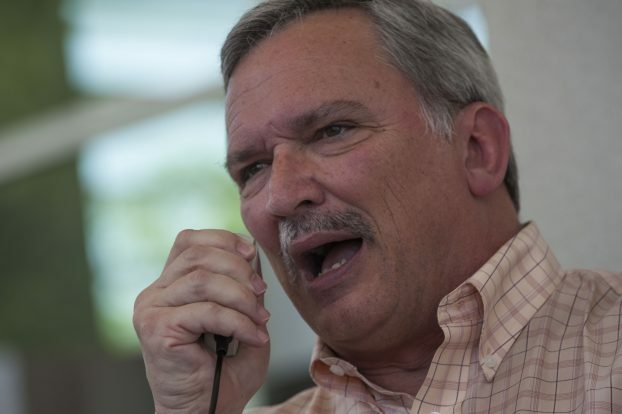 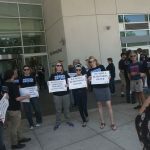 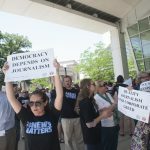 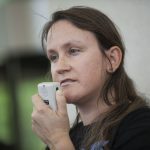 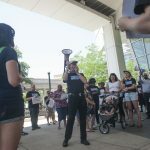 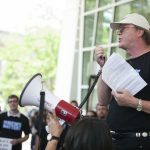 DENVER, CO. – JUNE 17: The Denver Newspaper Guild held a rally outside The Denver Post condemning downsizing actions by owner Alden Global Capital.